Text by Verne Dawson, Matthew Higgs, Caoimhin Mac Giolla Leith. 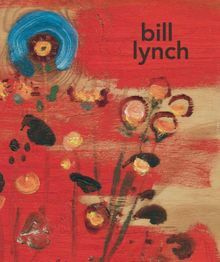 This is the first comprehensive monograph on the late American artist, Bill Lynch (1960–2013) . Painting primarily onto salvaged plywood sheets, leaving areas raw and exposed, Lynch depicted landscapes and wildlife, cultural artefacts and mythical symbols with instinctive and direct brushstrokes and a psychological connection to his subject matter. The artist’s vested interest in Chinese painting is apparent in his confident gestures, combining a dry lambent brush and thick pasty paint. Making use of irregularities such as the knots and grain in the wooden support, Lynch merged the material of the surfaces with images creating an ambiguity between the physicality of the ground and his luscious pictorial visions. Bill Lynch was born in Albuquerque, New Mexico. He studied art at Cooper Union, New York where he lived and worked before moving to Mill Valley, California and then Raleigh, North Carolina. Clth, 9.5 x 11.38 in. / 160 pgs / illustrated throughout.